When restoring from the most recent backup, any data added since the backup date will be lost. 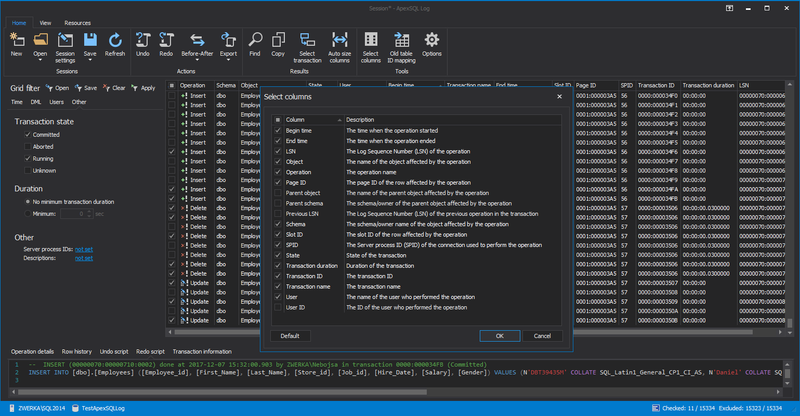 ApexSQL Log can capture those "missing" transactions and easily replicate them to your restored database, ensuring you never lose a single row of data from an emergency restore. 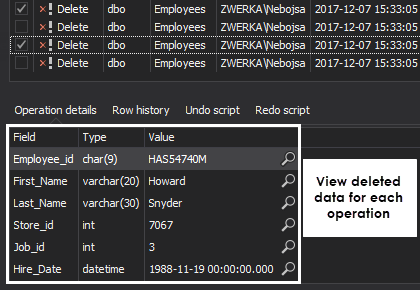 Use ApexSQL Log to replicate changes from a Publisher database to a Subscriber to help maintain a reporting version of your production database, while offloading performance intensive queries. 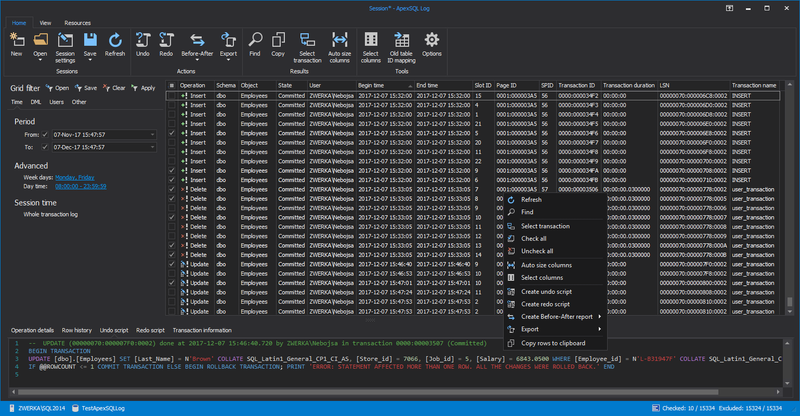 Consolidate reports from multiple SQL Server databases into a single centralized reporting database and offload the performance impact while avoiding being forced to grant access to many SQL logins for multiple SQL Server instances. Perform bi-directional replication by replicating uni-directional process for each peer. 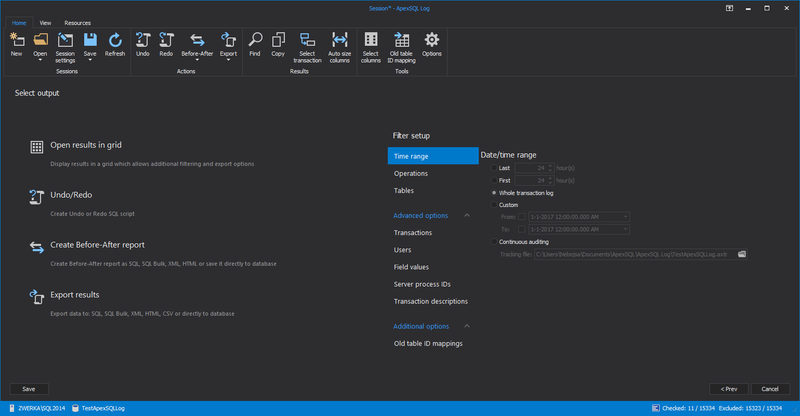 This article shows how to setup ApexSQL Log to perform continuous nightly auditing of SQL Server database transaction log files/backups and create repository tables that will store all audited data by creating a repeatable session in ApexSQL Log. 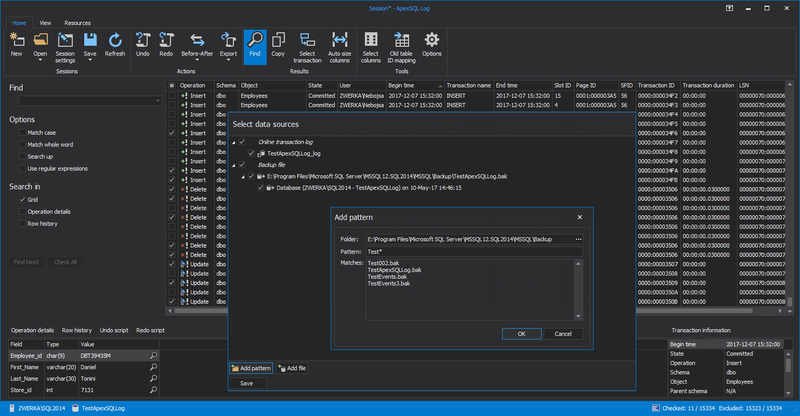 I had downloaded the ApexSQL Log tool for a very specific need that I had to quickly find some information from a transaction log backup – and it worked GREAT! Thank you, thank you, thank you!!!!! What I could not accomplish over the past 7 days ApexSQL Log did in 20 minutes. The anguish of data loss is now over. You folks are brilliant! Best. Software. Ever. 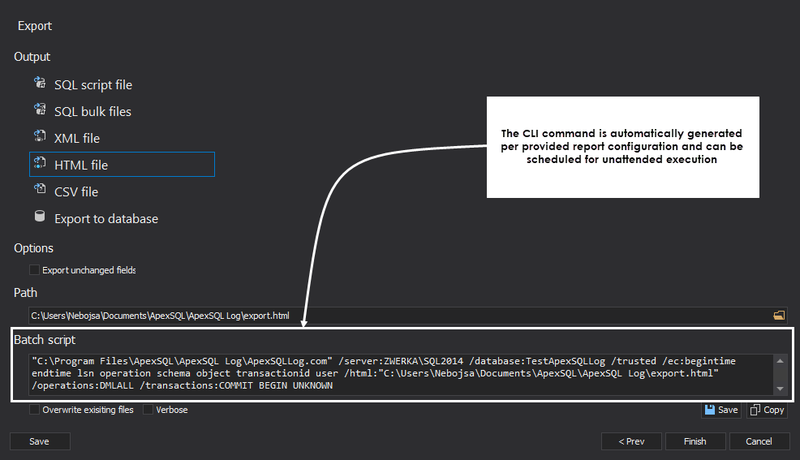 It's a long story, but ApexSQL Log may solve a previously un-solvable issue for us. We had an update query which affected 110,000 rows in our SQL Database. 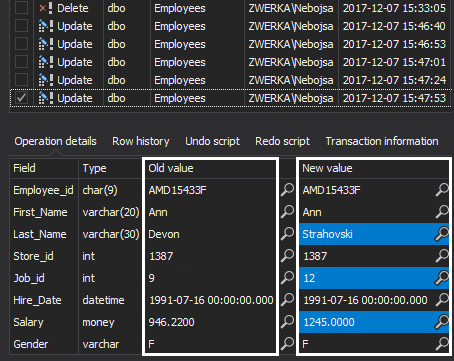 With ApexSQL Log, this amazing software allowed me to create an Undo Script. Thank you ApexSQL for your prompt response and resolution to my critical issue I faced. What a pleasure to deal with! I mainly use ApexSQL Log. 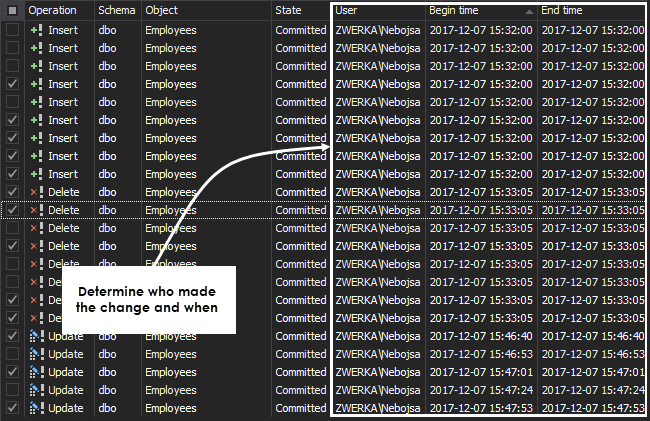 We do 5 minute transaction log backups and I have had a number of cases in which I had to prove/verify a specific person modified a row. Our application does not log information to the level needed for that verification in all cases. Your tool allowed me to quickly identify the necessary rows and provide documentation to the requestor. 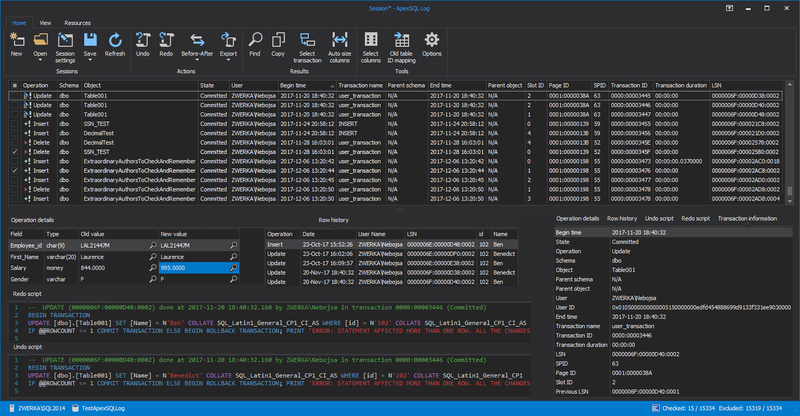 ApexSQL Log worked beautifully and I was able to test and restore deleted SQL data. I must confess, this is a very good application and the manual so direct and concise, I wasn't confused to get the application working. I actually used it to read log transaction and undo update that has been made. 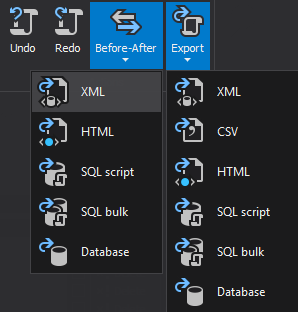 Overall the application [ApexSQL Log] is superb. I have tried ApexSQL Log and I cannot tell how fascinated I was. The tool is very intuitive - my knowledge of database administration is modest but I was able to perform all the tasks I needed to. Quite easily, I found out who made certain changes and what was the outcome of such operations. 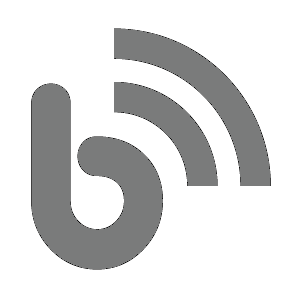 There is a practical feature to generate Undo and Redo scripts of selected operations, or entire transactions, and you can even execute them within the tool itself. Brilliant!